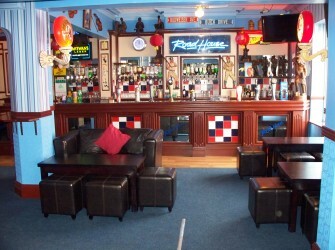 The Roadhouse bar is open 4:30pm - 11pm weekdays and 'til late weekends. With darts, pool tables and Karaoke at weekends, it is the ideal place to unwind and relax after a busy day shopping, for an evening's entertainment or to meet up before heading out to sample Carlisle's busy nightlife! Free Wifi available in the bar.